What is a Parfocal Lens and is it Useful? Posted bySareesh Sudhakaran	 March 30, 2013 November 25, 2017 6 Comments on What is a Parfocal Lens and is it Useful? What is a Parfocal Lens? Every zoom lens is a compromise. For a given focal length and aperture combination, a prime (or block) lens offers the greatest freedom to a lens designer. Every element in such a design can contribute towards perfecting performance for this single focal length. On the other hand, if layers of glass have to perform equally well across a range of focal lengths, it will always be inferior to a prime, as long as the workmanship, designer and elements are the same. 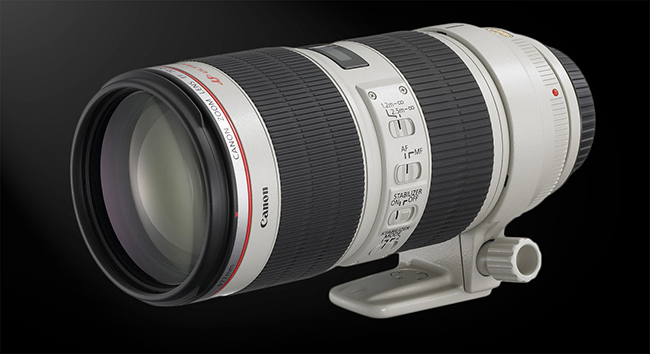 If they are not, it is quite normal for a top-class zoom lens to perform better than a badly (or cheaply) made prime. Let’s say you focus on a subject at a particular focal length, and then zoom in or out to reframe. Most zooms, especially the ones from the consumer and professional DSLR industry, will lose focus. Such lenses are called varifocal lenses. 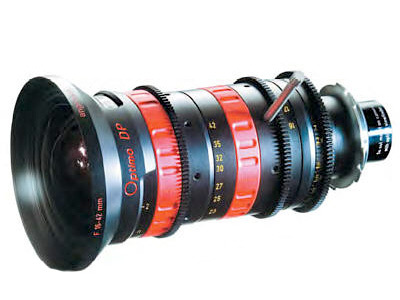 High-end broadcast camera lenses and some cinema lenses are traditionally parfocal. What is a parfocal lens? It’s a lens that doesn’t lose focus when you zoom in or out. The easiest way to know if your lens is parfocal or not is compare it to live-view. You frame, focus using live view or peaking, and take a still or video. Then, instead of using live view or peaking, you zoom in, focus as best as you can, zoom out to your original frame, and take a still or video. Now compare them at 100%. This can be easily done on a DSLR or modern Super 35mm camera. The difference will be noticeable, even on lenses that are supposed to be parfocal – unless you have eyes as bad as mine. Don’t forget to try it front-and-back, across different zoom ranges, frame sizes, focal points (near, far and infinity) and apertures. Only a masterpiece of optical design can be a true parfocal lens acceptable for the most demanding scenarios. The first acknowledged parfocal lens capable of such quality was made by Pierre Angénieux in 1956, a 12-120mm for which he got an Academy award for technical excellence. How useful is a Parfocal lens? It’s incredibly difficult to design a parfocal lens. The worst part is, as the sensor size increases, focus becomes more critical, and the tolerances get even smaller. Modern DSLR lenses don’t need to be parfocal because they have autofocus. It is faster than your wrist and thumb (on the zoom servo). But what about film and video? I believe a parfocal lens for video is still a great asset. Imagine being on set while the operator can quickly zoom into the talent, focus and zoom out – all in less than five seconds – for precise focus. This is especially useful if your talent can’t hit the mark correctly take after take; or if you’re shooting run-and-gun, documentary, etc., where a focus puller is luxury. It’s definitely an asset, but it comes at a price. So, should you get a parfocal lens or not? Yes, if it is optically and ergonomically equal to or superior to the varifocal version. If not, then it is pointless. But always test first hand. See it with your own eyes. Have you found any cheap true parfocal lenses (also called true zoom lenses) that can be used with DSLRs or prosumer cameras? Share it! The LUMIX Leica 12-60mm looks like it is a parfocal design. Only downside is its f4 aperture and tromboning. It’s critical that both the lens and mount are properly collimated or even a parfocal lens will not operate as expected. I’m thinking about getting the Sony PZ 28-135mm F4 G lens, which is parfocal. I’ve heard good things about it, & was wondering if you had used it and what your thoughts on it are. It’s a good lens, if you need its features. It all depends. I think it would be a good all-around lens on my A7s. Maybe not the best in any one area (speed, bokeh, weight, etc. ), but pretty good across the board. I usually shoot with Rokinon cine-primes, but I find myself longing for a native FE lens that can take full advantage of the A7s’ capabilities (OSS, Autofocus for stills — something my girlfriend can pick up and use without fiddling with the manual settings). Do you have a preferred zoom you use for your productions?